I find urban gardens so much more special than their suburban and rural counterparts. What they lack in size, town centre gardens more than make up for in the way that they surprise and delight. 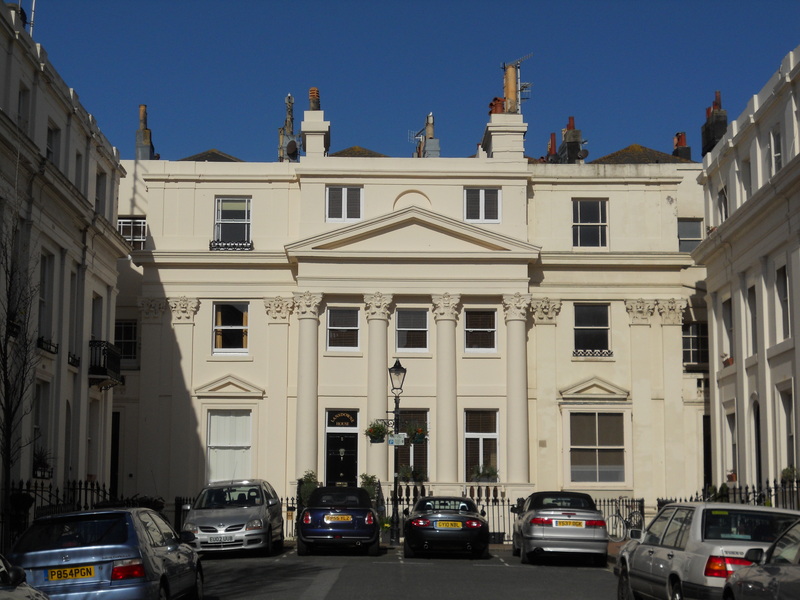 Urban gardens have enjoyed somewhat of a resurgence in Brighton & Hove over the past few years and, for the time being at least, Brunswick Town stands out to me as the area making the greatest contribution locally. 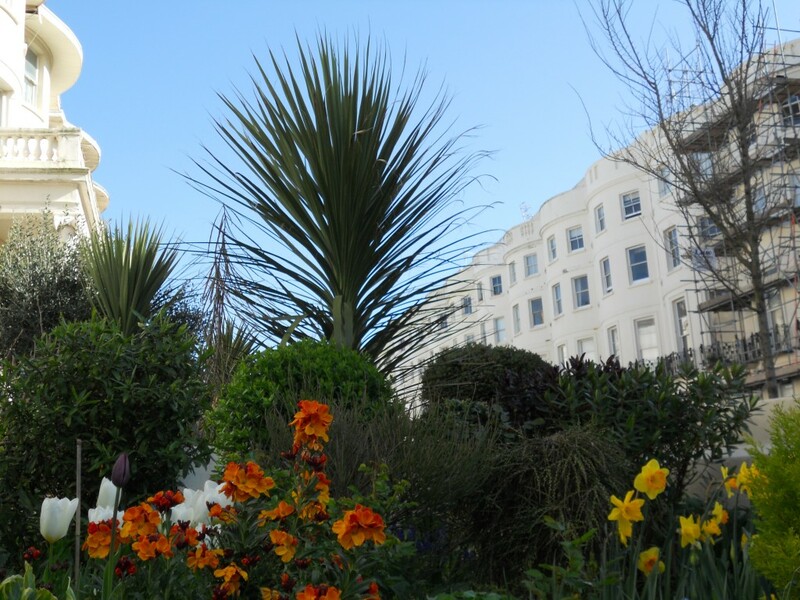 The City in Bloom competition, run by Brighton & Hove City Council, has certainly provided residents with the impetus to get together and make the best use of outside areas. Last year, Brunswick residents picked up prizes in a number of categories including Most Attractive Urban Area ,which went to Farman Street. This year, City in Bloom focuses on community efforts and the closing date for entries is 30th June. In the past, I have visited the Waterloo Street Community Garden which lies to the east of Brunswick Town and, of course, the garden of Brunswick Square in the centre. On this occasion, therefore, it made sense to focus on the Lansdowne area to the west. Lansdowne Square is a short cul-de-sac just off Lansdowne Place consisting of nine houses without front gardens. As a self-contained mini-community, it lends itself well to community planting. I have no idea who, if anyone, co-ordinates efforts but the various hanging baskets, window boxes and pots are a real treat. Just around the corner on Lansdowne Place itself, the residents of two neighbouring townhouses have taken different approaches to creating wonderful front gardens. The first is a ‘cottage garden’ with a nucleus of shrubs interspersed with yellow wallflowers, Artemisia, purple heather, forget-me-nots and white tulips. The second is equally striking but requires less maintenance. The Mediterranean-style garden includes a hydrangea, a lancewood, a laurel and bamboo. Last year, Brunswick residents got together as ‘Brunswick Town in Bloom’ to enter the South & South East in Bloom competition and won a Silver Gilt Prize in the Best Urban Area category. The group includes members of various residents’ associations including Friends of Adelaide & Palmeira Association, Friends of Brunswick Square & Terrace, Lansdowne Area Residents’ Association, East Brunswick Residents’ Association, Brunswick Street West/Dudley Mews Residents, and Brunswick Place Residents’ Association. Many examples of fine urban gardens exist in Brunswick Town. I’m sure that the area will do bloomin’ great in the two competitions.